I'm running late with this... I promised myself I'd be organised. Alas...it didn't happen. 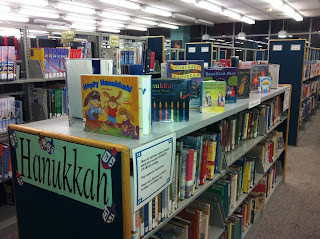 I found this image of a wonderful display of children's Chanukah books in a public library - I've no idea whether the libraries in my neck of the woods - which is one of Sydney's bigger Jewish neighbourhoods - have anything similar. The closest I've seen was the awesome display at Gold's World of Judaica at Bondi when I was there on Friday shopping for candles. 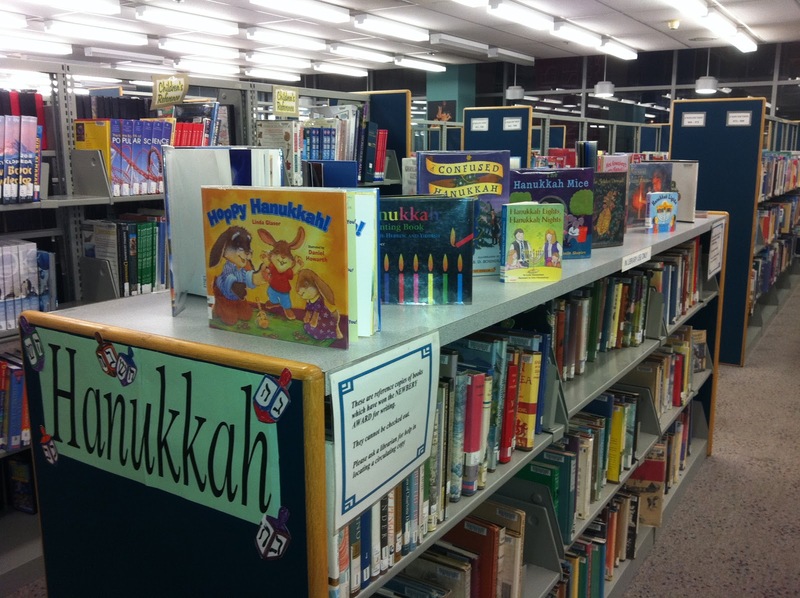 So, to all my Jewish readers - Happy Chanukah, or Hanukkah, or Hannukah - or however you want to transliterate it - SO much easier in Hebrew!! May your arteries not be clogged by all the latkes and sufganiot, and may you all enjoy a wonderfully peaceful, happy celebration with your loved ones this year. 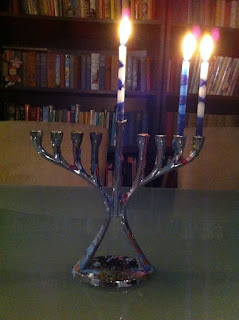 Here's our chanukiah from second night - we were out last night, so enjoyed the ones we could see in other people's windows!